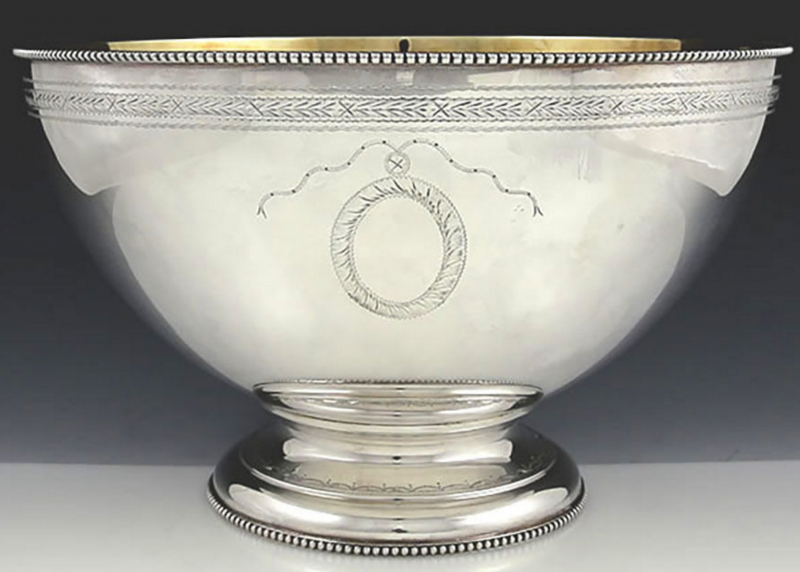 An English sterling silver footed punch, fruit or centerpiece bowl by C J Vander made for the Dunhill Shop in London, decorated in the Hester Bateman style with a bright cut hand engraved decoration, oval cartouche on two sides with a beaded rim and foot. Gold washed interior. 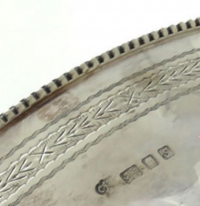 Hallmarked London 1973. 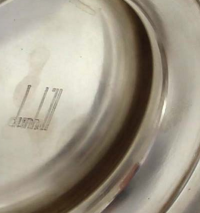 Height 6 3/4"; diameter 11"; weight 1250 grams. Very good condition with no dents or damage and no monogram.